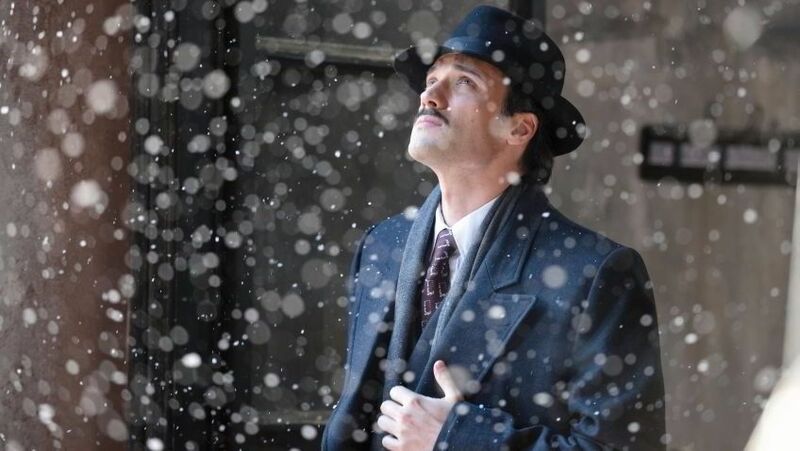 Cloudy Sunday (Greece) tells the story of a young Christian man and a young Jewish girl who fall in love during the Nazi occupation of Thessaloniki. While the romantic aspect is well-kindled and believably developed, it's not the greatest draw of the film, nor is it truly what the film is about; namely, Cloudy Sunday extols the importance of community, of resistance, and of love in general--not merely romantic love, but familial love, neighborly love, and the love for justice. It's inspired by the book "Ouzeri Tsitsanis," which is in turn based on the memoirs of Vasilis Tsitsanis, a famous folk musician who survived the occupation and the war; Tsitsanis himself is a central character of the film (played by Andreas Konstantinou), though present as more of an eternal flaneur and entertainer than as an active agent in his own right. Vasilis' nightclub is the hub of life and warmth in increasingly violent and unsafe Thessaloniki; his brother-in-law Giorgos (Haris Fragoulis) works to undermine the German hold over their city and meets the Jewish Estrea (Christina Hilla Fameli) by chance when she becomes involved in his resistance activities. Naturally, their clandestine meetings soon turn from calmly businesslike to lingering and longing, despite Estrea's engagement to another man--and her family's heartbreaking disapproval. The Sephardic Jewish community of Thessaloniki is, of course, in increasing danger, becoming subject to curfews, yellow stars, and eventually deportation to Poland; meanwhile, members of the Greek Christians struggle to fight the Nazis alongside their Jewish brethren even as collaborators and traitors are in their midst. Meanwhile, Vasilis is just trying to maintain his club as the one place people can go to forget their troubles, and even falls in love with Lela (Vasiliki Troufakou), the venue's passionate new singer. The narrative of Cloudy Sunday is well-balanced among the three interwoven storylines: that of the lovers', of the resistance, and of Vasilis and his role as Thessaloniki's beating heart, making what could have been an overly-maudlin drama a much richer story. The director of Cloudy Sunday, Manoussos Manoussakis, said in his directorial statement: "This story, despite its chronological setting, reflects current events, where racism and neo-Nazism lie in wait menacingly, eager to infect the global community." It's not a coincidence, then, that the three parts of Cloudy Sunday are presented as equally important in the fight against injustice, and makes the film a powerful, melancholy text that has important implications for contemporary struggles--we cannot work for justice effectively without community, and without love. 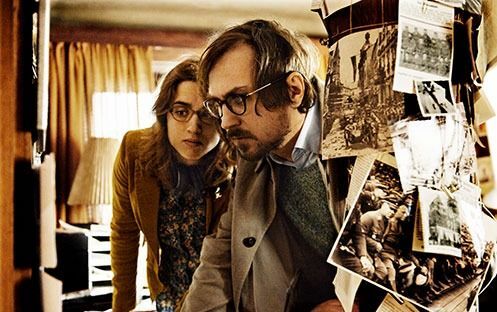 The Bloom of Yesterday (Germany) was interesting but rather uneven; I felt the plot had chosen the wrong protagonist. Toto (Lars Eidinger), a Holocaust researcher aiming to atone for his Nazi family's crimes, is saddled with Zazie (Adèle Haenel), a volatile student of their recently-deceased mentor. Toto's and Zazie's combative and hostile (and ultimately romantic) relationship has something to it of a very black comedy, and certainly provokes horrified laughs and grimaces whenever Zazie says something personal too loudly, or does something completely irrational and unfathomable, such as throwing a dog out of a moving car on a German highway. Toto's life, of course, is far from ideal: He's impotent and balding, disrespected at work, and jealous of his wife, who openly sleeps with other men. And it becomes clear over the course of The Bloom of Yesterday that Zazie has emotional issues of her own, many of which are wrapped up in the story of her Jewish grandmother who was murdered during the Holocaust; her admiration for Toto's scholarship and growing attraction to him are complicated by her knowledge of their shared terrible history. Yet my biggest critique of The Bloom of Yesterday is the decision to center Toto, who is a largely reactive character. Centering the narrative from Zazie's perspective would have given us much more insight into her own self-loathing and unwanted feelings for Toto, who, frankly, isn't particularly interesting even as the protagonist. Instead, seeing Zazie solely through Toto's eyes has the result of almost making her seem like a Manic Pixie Dream Girl--albeit one who is legitimately mentally ill and whose unexpected behavior is alarming, rather than merely quirky and offbeat. I will say this, however: Adèle Haenel's performance as Zazie is a tour de force, and the most memorable of all of the films I previewed from the Philadelphia Jewish Film Festival. Through the comical scenes to the bleakly tragic, Haenel demonstrates a clear understanding of the messy emotional life of her character, and translates Zazie's too-much-ness into apt body language. It's all the more reason that I wish Zazie had been the main character of The Bloom of Yesterday, because Zazie is complex and, at times, opaque enough that following her rather than Toto would have provided an overall richer experience. 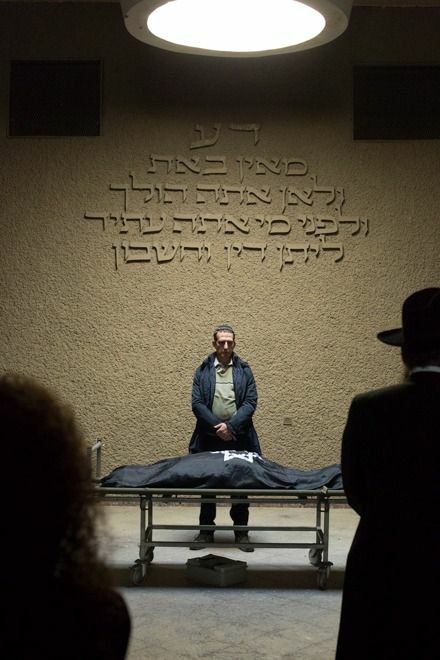 The Testament (Israel) is the debut feature by director Amichai Greenberg, but it has the sophisticated simmering urgency and smooth pacing of films like Spotlight, another quasi-procedural with a human rights issue at its core. Orthodox Jewish historian Yoel (Ori Pfeffer) is a historian embroiled in a development struggle against the Austrian government. Yoel believes that a site marked for development in Lensdorf contains a mass grave of 200 Jews murdered during the Holocaust, but struggles to find proof enough to satisfy the Austrians to stop the development, let alone acknowledge the massacre. After over twenty excavations, the Austrians are nearly ready to demand financial recompense from Yoel, insisting that Lensdorf needs to move into the future and not "linger in the past;" so he's given seven days to find the evidence he needs to stop the site from being filled with concrete, thus burying the graves--and evidence--forever. The bulk of the film consists of Yoel looking through classified files and speaking to potential witnesses, culminating in his final attempts at excavation that take on the suspense of a National Treasure movie. Yoel hardly makes his case easy for himself--he's stern, irascible, and wholly devoted to his cause. Looking a bit like Adam Sandler with a full beard and perpetually furrowed brow, Yoel carries the weight of history on his shoulders, finding himself in the unenviable position of implicating civilians--and not more easily culpable Nazis--in the murders, bringing up the uncomfortable history of Austrian collaboration. However, Yoel himself is shaken to his core when he finds in the files a secret about his family that challenges the entire course of his life thus far, risking to alienate him not only from his family, but from his faith and mission. The success of the The Testament rests on Ori's performance as Yoel, and in many cases, it works splendidly. The look of the film is also assured, with some well-composed shots at various key moments, giving the overall image the appearance of being bathed in tentatively-warm sunlight. However, the simmer rarely rises to a boil, and the supporting performances are not quite strong enough to make the film consistent. However, ultimately The Testament is one of the stronger entries in the Philadelphia Jewish Film Festival, and is particularly relevant to today's political climate, where Holocaust denial or dismissal is finding its way into mainstream discourse.